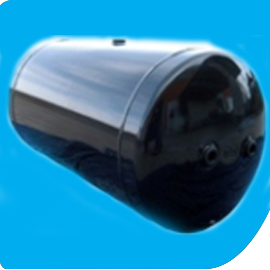 EU Simple Pressure Vessel Directive (SPVD) - HPi Verification Services Ltd. The Directive’s scope also has limits on the maximum working pressure and temperature as well as the types of end to the vessel. If these limits are exceeded, the vessel falls into the scope of the Pressure Equipment Directive (PED). Products are either in scope and must be CE marked or they are outside the scope and may not be CE marked. There is no legal means whereby an excluded product can be CE marked. HPiVS will confirm, on application, if your product is excluded. The detailed technical characteristics of the design, materials, production and testing are not laid down in the Directive but in standards. Standards have been especially written to support the directive. These standards, which must be adopted by all member states, are known as harmonised standards. Conformity with harmonised standards is required for this Directive. If they are not, the product is not “simple” and falls into the scope of the Pressure Equipment Directive. The latest edition of the SPVD has increased the range and choice of Conformity Assessment Modules that define what documentation needs to be compiled and to what extent a Notified Body should be involved. HPiVS will advise on the options upon application. Check our authorisation on the EU Commissions’s web site.